National Resources and ASPIRE Metro magazine, host the 2015 Metro Designer Showhouse at the Pearl Luxury lofts in Edgewater, NJ. 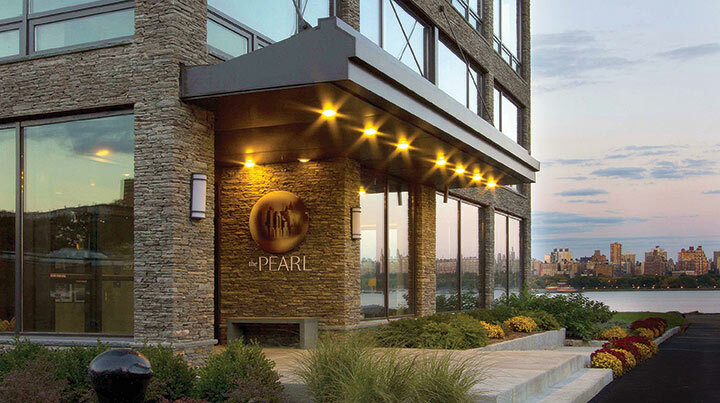 The Pearl, designed by Skidmore, Owings & Merrill, has provided elite interior designers with an exceptional canvas against which they can exhibit their unique and exceptional talents. KGBL's Maxim Bench was selected by Catherine Weinstock of CW Design for the dining area. Photos by Bruce Buck. All charity proceeds from this year’s Metro Designer Showhouse will go to the Alzheimer’s Association’s Greater New Jersey Chapter to aid in its missions to eliminate Alzheimer’s disease through research, provision of enhanced care, support to all affected and promotion of the advancement of brain health. The 2015 Metro Designer Showhouse will be open to the public Saturday, May 2 to Sunday, June 28, 2015.